Do you want safe atmosphere at home in your absence? Do you want to contact some reliable security agency for security service home? Secura Security is one of the well-known security agencies that have arrangement for total security for your residential places in NCR regions and Delhi. We make sure you that you get secure atmosphere even when your loved ones are away from you. Unarmed Security Guard: Our unarmed security guards are disciplined, sharp-sighted like eagle, keep entry and exit records, take strict action against thefts, burglars etc. Male/Female Security Guard: They keep vigilance on every incident at home loyally; take quick action during emergencies, etc. 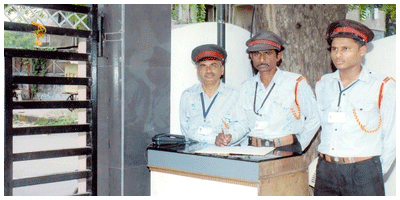 Our male and female security guards accompany you if it is emergency. Common In All of Them: They all are well-trained from 'Institute of Private Security Guards Training of Secura Security' situated in the premises of Secura Security. Without training, none of them appointed for job.